ASPIRE2025 with the support of Tala Pasifika, Whakauae Māori Health Research, Te Reo Mārama, University of Otago, Cancer Society, the Smokefree Coalition and Health Promotion Agency, extend a warm invitation to all interested parties to participate in this exciting Public Health Association gateway event. 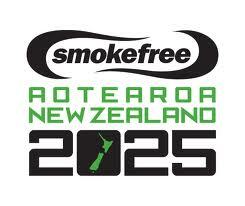 This workshop will discuss ideas for moving towards a smokefree Aotearoa by 2025. The focus will be on whānau and children within whānau. The results of recent research on reducing tobacco misuse in Māori and Pacific populations will be discussed. The workshop will also provide a forum for Māori and Pacific service providers and tobacco control advocates to come together to share projects and discuss how research findings can facilitate public health action on tobacco for vulnerable populations. WHEN: 10.00am-3.00pm, Monday 3 September 2012. Registration desk opens at 10am. Numbers are strictly limited to sixty attendees. To register please go to the PHA conference website.